Hershey’s Mill is a gated 55+ community in West Chester, Pennsylvania. This popular community began in the late 1970s and now over 3,000 active adults call Hershey’s Mill home. Homebuyers can select a home that fits their unique size and price requirements because multiple developers have built within Hershey’s Mill throughout the years. This active adult community in Chester County combines the best of both worlds, low-maintenance homeownership with a country club lifestyle. Not only does Hershey’s Mill include numerous thoughtful amenities, but there are dozens of clubs, activities, and planned trips for residents. The Community Center is the social hub of Hershey’s Mill where neighbors mingle while participating in activities, games, and parties. The main hall is the perfect spot to attend a lecture series or holiday dance. The meeting rooms and game rooms offer great spaces to meet with clubs and common interest groups. The Community Center at Hershey’s Mill also includes a library, perfect for catching up with book discussion groups. This facility’s thoughtful amenities continue with billiards tables for friendly competition amoung friends and neighbors. Golf enthusiasts will be pleased to know that an 18-hole golf course is located within their community. Hershey’s Mill Golf Club offers memberships with access to their golf practice facilities. After a golf outing, there is a ballroom for formal events and a restaurant for more causal gatherings. Situated throughout its 800 acres, Hershey’s Mill includes six tennis courts, two pickleball courts, shuffleboard courts, and horseshoe pits. During the summer months the outdoor pool and patio are a popular location for swimming and sunbathing. Those with a green thumb can utilize the garden area to plant flowers and vegetables. The community’s beautiful outdoor amenities also include scenic lakes and ponds, landscaped walking and biking trails, and a pet park. Unlike most active adult communities, Hershey’s Mill's fully equipped woodshop is a stand-alone facility. Another unique feature of Hershey’s Mill is the volunteer-operated non-profit TV channel, HMC-TV Channel 20, devoted to community happenings and informational programs. Lastly, the Sullivan House is a restored mansion available for private parties and large functions. Hershey's Mill was completed in 2005 with 1,720 homes throughout 25 distinct villages. All villages include low-maintenance attached homes available on a resale-only basis. These residences generally include about 1,000 to over 3,000 square feet of living space. There were numerous models built with one to three bedrooms, two to four bathrooms and an attached or detached garage. Homes were built with low-maintenance exteriors and master suites on the first floor. The low-maintenance homes throughout Hershey’s Mill allow residents more time to participate in the vibrant social scene. There are over 35 clubs and activities that meet on a regular basis. This wonderful established community makes sure there are many social functions, interest groups, and trips planned for everyone’s diverse taste. Join the bowling or chess group to enjoy some friendly neighborly competition or mingle while knitting or painting. Staying in-shape is never a chore when you can join exercise groups that range from yoga to aerobic dance to walking. Take a mental break with the Tai Chi group or explore local attractions on a bus trip. 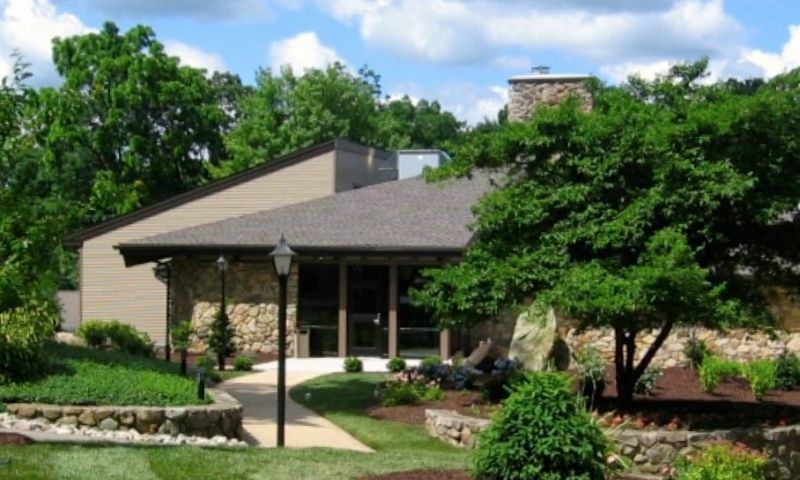 Though it’s a fairly large 55+ neighborhood, Hershey’s Mill offers a tight-knit sense of community with support groups, volunteer opportunities, health screenings, and blood drives. Whether you want to stay active physically or socially, Hershey’s Mill will have a group for you. Hershey’s Mill is an age-restricted community that enjoys a convenient location in Chester County, PA. Residents enjoy living less than an hour’s drive from big-city entertainment as well as airports in Philadelphia and Wilmington, Delaware. Hershey’s Mill is an accessible neighborhood with major roadways like US Route 202 via Route 352 (Chester Road). Closer to home, West Chester is home to historic battlefield sites as well as a variety of museums. The American Helicopter Museum & Education Center, Brandywine River Museum, Chadds Ford Historical Society, and Chester County Historical Society are all great places in West Chester where one can continue learning and exploring. There are over 30 boutiques and over 60 restaurants throughout the area. From carefree homeownership to top-notch amenities to several clubs, active adults in West Chester, Pennsylvania are proud to call Hershey’s Mill their 55+ community. Hershey's Mill is an amenity-rich community. Residents enjoy a variety of unique amenities throughout its 800 acres. The Sullivan House at Hershey's Mill is located at 1389 E. Boot Road. This historic mansion has been restored and is available for private parties and large community functions. There are plenty of activities available in Hershey's Mill. Here is a sample of some of the clubs, activities and classes offered here. Hershey's Mill contains 25 villages within the community. All include low-maintenance attached homes available on a resale-only basis. These residences generally include about 1,000 to over 3,000 square feet of living space. There were numerous models built with one to three bedrooms, two to four bathrooms and a garage. Please Note: Not all floor plans are displayed below. We moved into Hershey's Mill with the help of Stacie nearly 3 years ago and absolutely love this community! Everyone is so friendly and welcoming and the amount of activities and amenities was a pleasant surprise. We moved from our too large home in Malvern into our much more manageable home in "the Mill" which we both agree has everything that we could ever need or want. We and several of our friends have found lovely well maintained homes to fit our differing needs at reasonable prices. But the reason Hershey's Mill is 5 stars is the activities. 6 tournament grade pickleball courts, 5 tennis courts, ping pong, biking, golf, wood shop, model train club, library, etc and the people. Within our first months in "The Mill" we were involved in more activities and knew (not met) more people than we had in our old neighborhood where we lived for 20+ years. If Hershey's Mill had an admission committee, they would get 5 stars for welcoming, friendly, helpful admissions. Stacie sold me my condo almost 10 years ago. I love it here. It's a terrific location and absolutely beautiful. There's plenty of activities (social club and boomers,computer,photography,tennis,pickleball etc) and trips (Delaware Park, Phillies, Penn's Peak, St. Michaels) but most of all the people are friendly. It's easy living and I'm glad I'm here. Good mix of newer and older homes. Close to stores and Starbucks! Community has everything you'd want. 55places.com is not affiliated with the developer(s) or homeowners association of Hershey's Mill. The information you submit is distributed to a 55places.com Partner Agent, who is a licensed real estate agent. The information regarding Hershey's Mill has not been verified or approved by the developer or homeowners association. Please verify all information prior to purchasing. 55places.com is not responsible for any errors regarding the information displayed on this website.